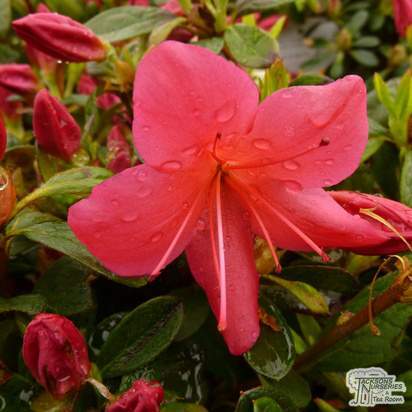 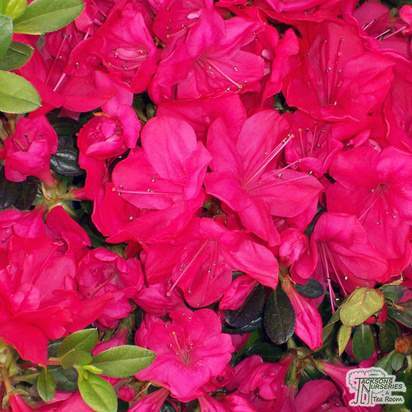 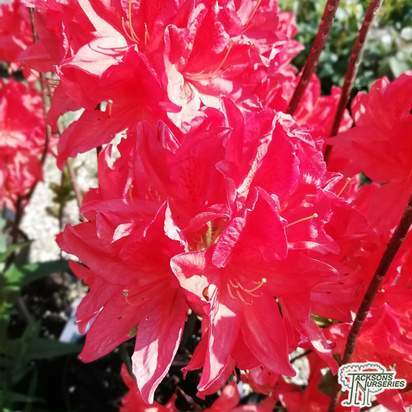 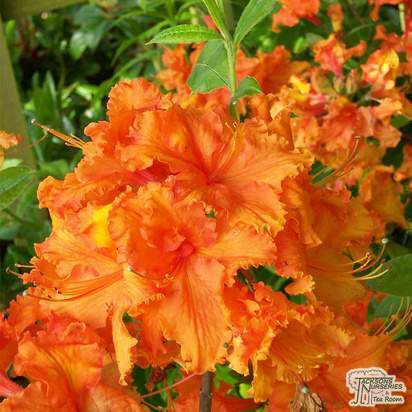 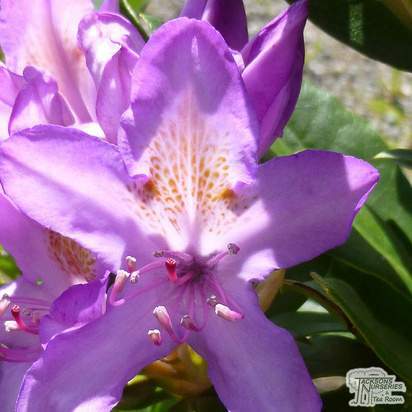 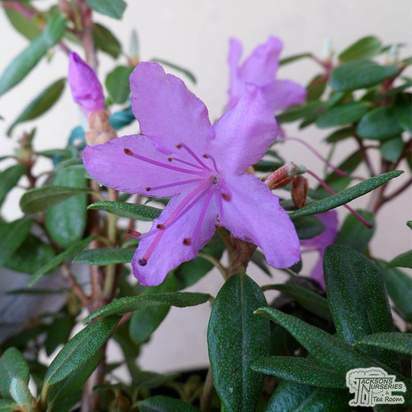 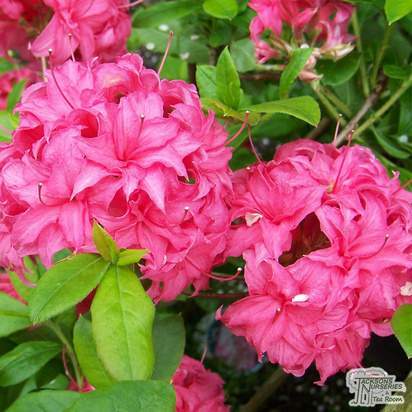 This dwarf evergreen azalea shrub has dark green mature foliage and bears beautiful velvety pink-purple flowers. 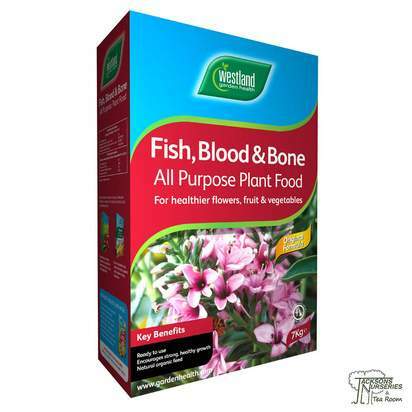 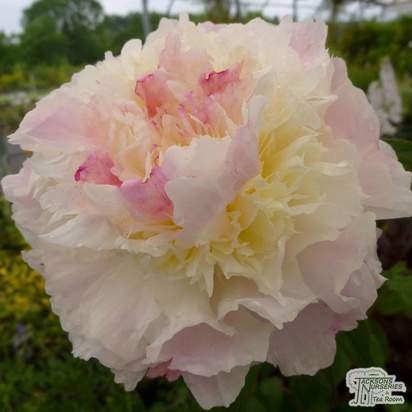 The breathtaking blooms appear in May and June and accompany the flat growth beautifully, as well as being a good wildlife attractant for your garden. 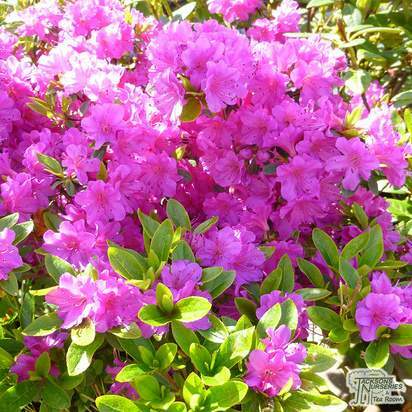 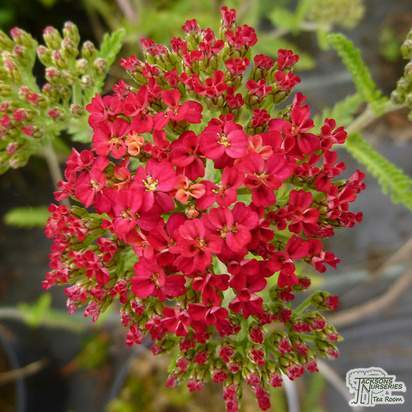 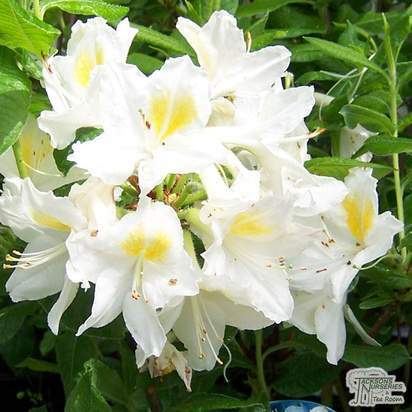 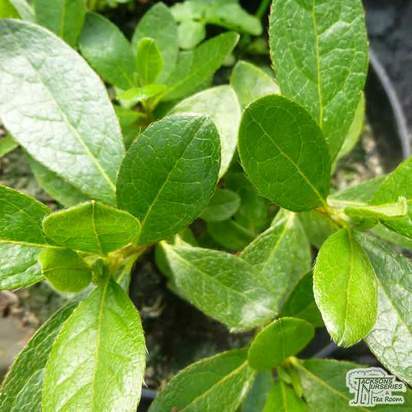 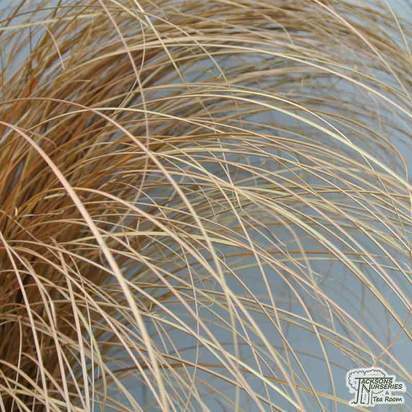 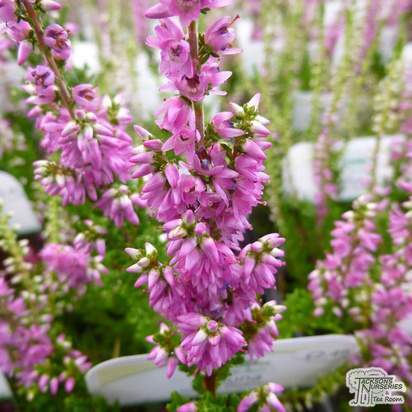 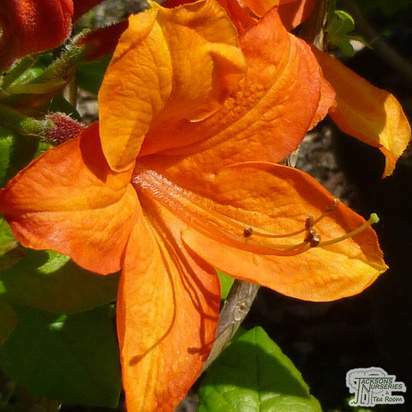 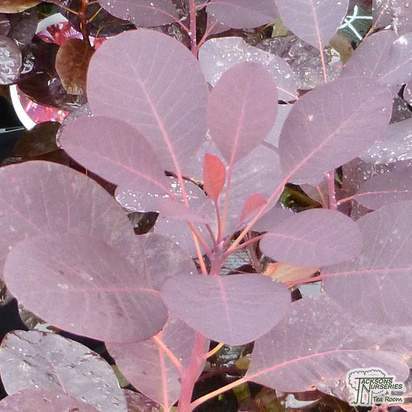 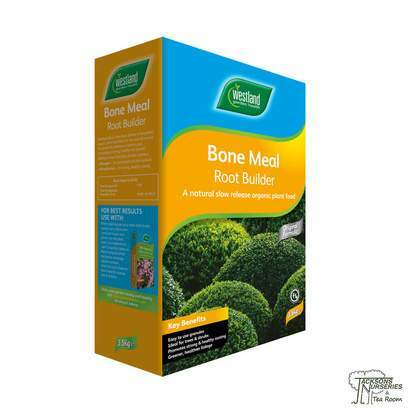 Prefers to be grown in well drained, acidic soil and with partial sunlight exposure. 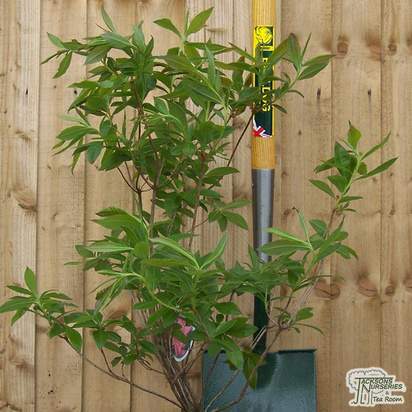 Eventual height and spread is 90cm by 70cm if left un-pruned.